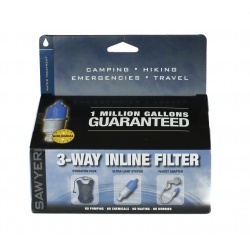 A time tested favorite, Sawyer’s 0.1 Micron Gravity Filtering System simplifies backcountry hydration needs. 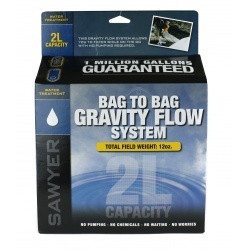 This versatile, safe, and highly effective bag system is practically hands free. Just hang the system from a tree or any source off the ground, and gravity does all the work quickly — filtering 2 liters of water in as little as 90 seconds. 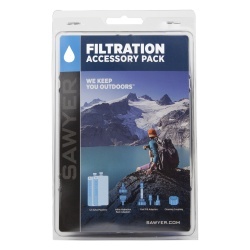 Packing Sawyer’s Point ONE filter mechanism (rated to 0.1 micron absolute filtration), the Gravity Filtering System removes 99.99999% of all bacteria, such as salmonella, cholera, leptospirosis and E.coli, and removes 99.9999% of all protozoa (such as giardia and cryptosporidium). 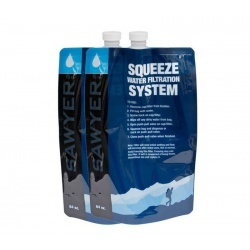 It comes in two sizes (2- and 4-liter) and in two configurations — either a single bag (for filtering into your own container) or a dual-bag package (one for dirty water, one for clean water). 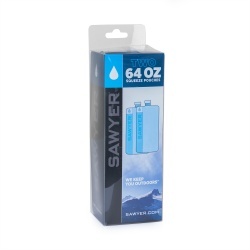 Take the gray reservoir and fill it up with water from any source — lake, stream, faucet, etc. After filling, hang the gray bag from a tree, the back of your pack, or simply hold it up with your hand. The color-coded system (grey goes with grey, blue goes with blue) makes filtering easy. Just connect the tube into the gray reservoir and clip the other tube end into the grey end of the Point ONE filter. 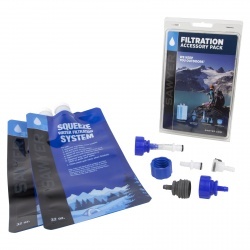 Start filtering water into either the blue reservoir (included in two-bag system) or directly into another container, and you’ll have 2 liters of fresh, clean water in about 90 seconds — ready to drink, cook with, or fill water bottles. 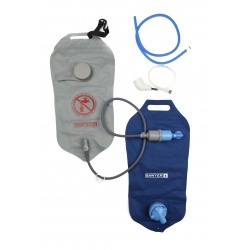 With the two-bag system, you can even use the blue reservoir as a hydration pack with the included drinking tube and a bite valve (sold separately). 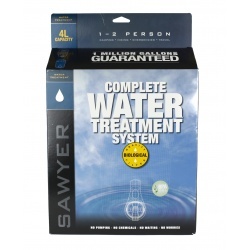 The Sawyer Point ONE (the filtering mechanism for the Gravity Filtering System) is certified for 0.1 micron filtration, meaning there is no pore size larger than 0.1 micron in size. This makes it impossible for harmful bacteria (like salmonella), protozoa, or cysts like E. coli, Giardia, Vibrio cholerae, and Salmonella typhi to pass through the filter. 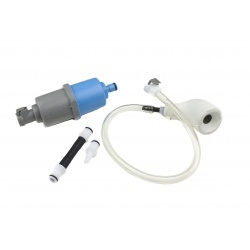 The Point ONE’s filtering membranes are sturdy enough to withstand backwashing using the included syringe, restoring up to 98.5% of the filter’s flow rate. The Point ONE can be cleaned and reused almost indefinitely with no expensive cartridges to replace… ever. 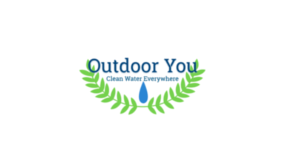 We recommend backwashing and sanitizing the filter after every outing for optimized use. 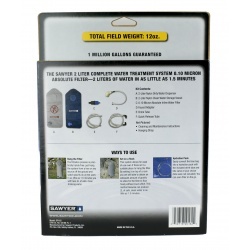 Fully field maintainable, the Gravity Filtering System includes a faucet adapter for a more thorough backwash when you get back home.